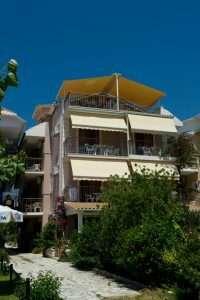 Our building is situated in a central spot in cosmopolitan Nydri, 15 metres from the sea and just 30metres from the main street with all the shops (taverns, bakery, super market etc). 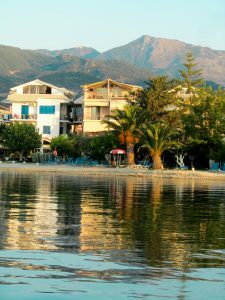 The ambience is ideal for families and couples who prefer a quiet holiday in a friendly atmosphere. Twelve furnished apartments and studios fully equipped with TV, A/C, WC, refrigerator and big patio are waiting for you. Most rooms have a view to the nearby islands. Amazing rooms, with great view, and place for parking. 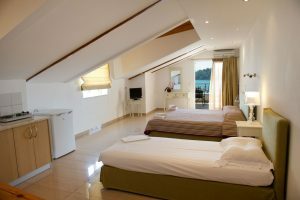 The rooms are big and the location is just 10 meters by the sea. 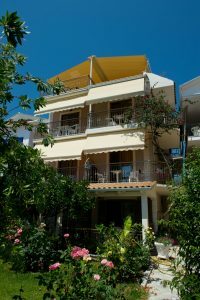 We had a great holiday here at Akrogiali Studios at Nudri Lefkada! The rooms are very clean and the sea next to you.